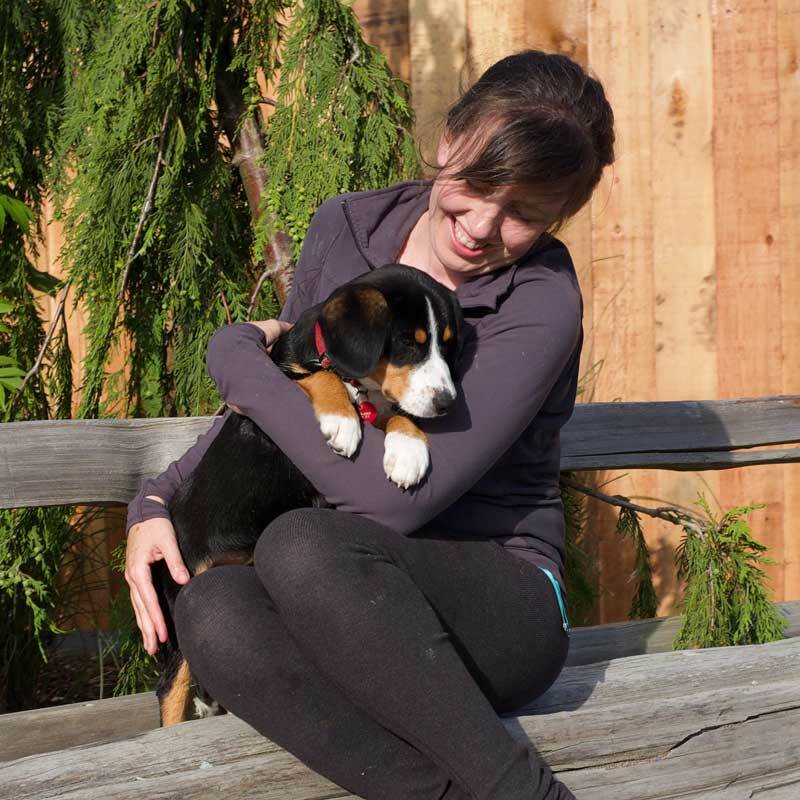 ​Located on Canada's West Coast, Alpine West specializes in producing exceptional Entlebucher Mountain Dogs for loving, responsible owners. Our dogs are home raised. We do not keep them in a kennel environment. We love and cherish them as members of our family. Each litter is whelped and raised in our house. The puppies receive lots of loving cuddles from our 4 children. This type of careful handling provides the puppies with vital early neurological stimulation. We promote an active, working lifestyle for our dogs, through agility and obedience classes (mental and physical exercise is important for the Entlebucher). We are members of the Canadian Kennel Club (CKC) and the National Entlebucher Mountain Dog Association (NEMDA). Our dogs have come directly from reputable lines in Europe, where the breed has been maintained for generations. ​At 18 months of age, Our Entlebuchers have Orthopedic Foundation for Animals (OFA) preliminary hip examinations done. Final hip clearances are done by OFA at 24 months of age. All our breeding stock have Canine Eye Registry Foundation (CERF) examinations. CERF is a general eye exam by a veterinary ophthalmologist (specialist) who examines the eye for any heritable eye diseases. Our Entlebuchers are also tested for Progressive Retinal Atrophy (PRA), PRA is a general term for a group of diseases causing degeneration of the retina, leading to a loss of vision typically between 3-5 years of age. Our breeding program emphasizes health, conformation, temperament and agility. We are committed to breeding top quality dogs with every litter that we produce. All litters and pedigrees are carefully researched. We breed on occasion to ensure our litters are well and properly cared for in our home. All of our puppies are well socialized with children and adults. We are selective when it comes to placing our pups, it is our goal to place our puppies in homes that are well suited to provide them the active and healthy life they are intended for. We do offer shipping/flying for puppies where location requires. Both my husband and I grew up on hobby farms on the coast of British Columbia. Breeding quality show dogs has been an integral part of my husband’s family since he was a child. We love all of the Swiss Mountain Dogs, and on our first encounter with an Entlebucher Mountain Dog we fell completely in love! Health standards and life expectancy have been well maintained, the smaller size and short hair also seemed well suited to our growing family. Their endurance makes them a good hiking companion as well. They have a strong desire to learn and follow instructions, making for incredibly quick training, which was a necessity for us considering the ages of our young children. Thank you for taking the time to learn about us! We look forward to learning more about you as well should you decide an Entlebucher Mountain Dog is right for you.